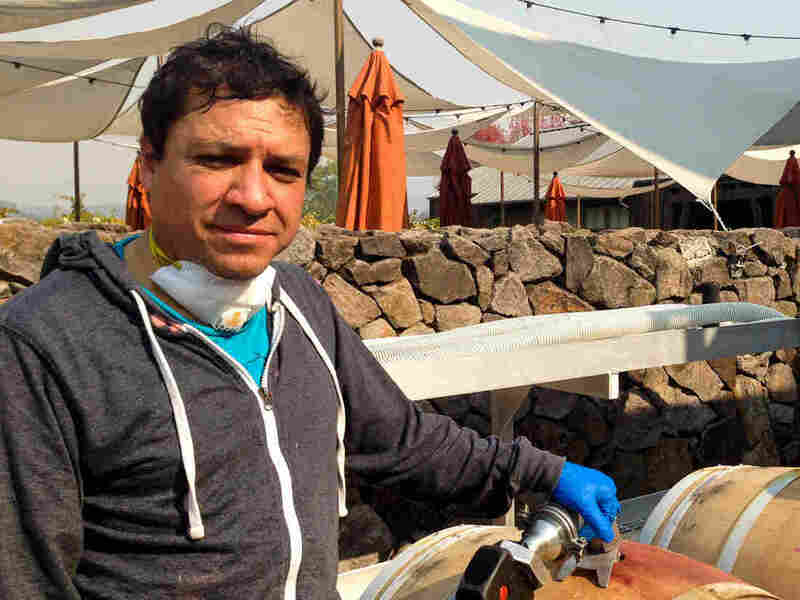 California Wildfires Leave Seasonal Agricultural Workers In Limbo : The Salt The devastating wildfires in Northern California killed scores of people and left thousands homeless. They've also left many seasonal agricultural workers without jobs or income. The wildfires in Northern California have already done more than $1 billion in damage according to the state's insurance commissioner. In Sonoma County, one of the hardest hit areas, about a third of the economy is related to agriculture, wine and tourism. Now, seasonal workers in the region like Paniagua are facing the loss of jobs and income. He says dozens of vineyard owners have sustained damage. He says that could displace seasonal agricultural workers. Still most vineyards are standing, and Clark says the priority there is to pick the grapes left on the vines as quickly as possible. Farida Jhabvala Romero is a reporter with member station KQED in San Francisco.